William Bell never achieved the success of some of his Memphis contemporaries but his contribution as a singer & a songwriter places him at the heart of the enduring soul music created in that city throughout the 1960s. In 1961 Bell, just 21 years old, stepped away from his vocal group, the Del Rios, to record a self-written solo debut for his hometown label Stax Records. “You Don’t Miss Your Water” is a smooth sliver of country soul before that was even a thing. In 1967 the song was recorded by Stax’ shining star, Otis Redding & included on his “Otis Blue” LP. The following year The Byrds released their version on “Sweetheart of the Rodeo” & Taj Mahal his for “The Natch’l Blues”. 3 distinctive records linked by this immaculate song. “You Don’t…” made a small dent on the US charts, the following 45, “Any Other Way”, was picked up by established R&B singer Chuck Jackson. For a small label this was a big enough deal for Stax to release a number of William’s singles. He was away for 2 years in the armed forces which didn’t help with promotion & publicity. On his return to Memphis he began a string of recordings which were R&B hits but which never really matched the crossover success of other studio colleagues. In this golden time the Memphis Soul stew was cooking on gas. Now, over 45 years later, William Bell’s best records take a place alongside all those other Stax solid senders. Bell’s stock in trade ballads had a sweet gospel tinge. Booker T’s sympathetic productions allowed a lightness not always associated with the trademark attack in the sound of Stax. 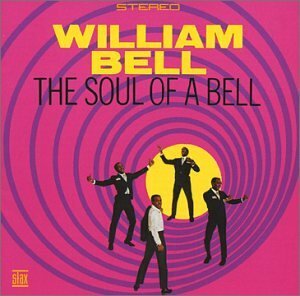 “The Soul of a Bell” (1967) marked the beginning of a songwriting partnership between the pair. The opening track “Everybody Loves A Winner” is a tragic song of life, a lovely example of the thing that William Bell did so well…”but when you lose, you lose alone”. Ah, Gram Parsons should have gotten hold of this song with the Byrds or the Flying Burrito Brothers. “Eloise (Hang On In There)”, a soul stomp, Motown urgency filtered through the layers of Memphis grit, had to be the one to break on through. Like another muscular Stax release, “Big Bird” by Eddie Floyd, “Eloise” made no impression on the charts but it shook my radio whenever it came around. A hit 45 that just never was one. It was around this time that guitarist Albert King was signed by Stax. Bell & Jones provided a song that captured all the bad luck & trouble of the Blues while putting this folk music on Soul Time. “Born Under A Bad Sign” was an instant classic. Eric Clapton had always checked for Albert & a year later Cream, with encouragement from Atlantic Records, covered the song on their #1 LP “Wheels Of Fire”. King found a new audience for the Blues in America’s concert halls. Up in Chicago the Chess label encouraged Muddy Waters & Howlin’ Wolf to update their sound. “Born Under A Bad Sign” is a landmark song. When Stax tragically lost it’s greatest star in December 1967 William Bell marked Otis Redding’s death with “A Tribute To A King”. Only a B-side in the US, we Brits were more receptive to this heartfelt elegy from his musical family & it dented the charts. 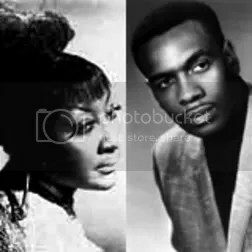 Another Bell- Jones composition, “Private Number”, a sweet, smooth dialogue with Judy Clay, less raucous than the Otis & Carla Thomas duets, made the UK Top 10 with no transatlantic promotion trip (so unfortunately no black & white Top of the Pops clip) & is still a sure fire winner to my ears. The follow up, “My Baby Specializes” (mostly Judy) was an Isaac Hayes-David Porter song. There was an LP of “Duets” with Clay, Carla Thomas & Mavis Staples. William Bell was a busy man in 1968. He began to produce records for Peachtree Productions. I have a version of “Purple Haze” by Johnny Jones & the King Casuals, a crazy collision of soul & psychedelia. I did not know that it was Bell’s debut production for the company. It’s on the Y-tube, treat yourself. It was in 1968 that he had his biggest hit so far. “I Forgot To Be Your Lover” is a gorgeous tender gem. Steve Cropper’s guitar, a cascade of strings, the Memphis Horns…oh yeah ! Down in Jamaica Lee “Scratch” Perry was creating all manner of wonderful dub reggae strangeness at his Black Ark studio. Scratch always had an ear for a well-written song. Through 1976/77 he recorded a number of soul classics with singer George Faith & that’s how William Bell & Booker T Jones’ “To Be A Lover” stands as a reggae classic. The almost 20 minute long version, including Augustus Pablo’s mellifluous melodica, is a desert island disc of mine but, hey, you are busy people. William Bell moved to Atlanta but stayed with Stax to the end in 1974. Public taste had changed but there are some classy songs from this time. A move to Mercury finally brought him a gold record in 1977 with “Trying To Love Two”, a disco-fication of his trademark ballad sound. Despite the song reaching the top of the R&B charts there seems to be contemporary clip of him performing the song on “Soul Train…if only. With the formation of Wilbe Records he has continued to record himself & others.There was never the one big breakthrough song for Bell. No “Knock On Wood”, “Sweet Soul Music” Or “When A Man Loves A Woman” that put faces to the names of other singers. He was not on the bill for the momentous Stax/Volt tours of Europe & there is no film of the young William Bell. So this clip, from 2013, gets me buzzing. It’s from a Memphis Soul special, after dinner entertainment at the White House for the Obama’s & a few close friends. There was a stellar line-up, Sam Moore, Mavis Staples, Cyndi Lauper (Huh !) for the audience to rattle their jewellery to. Seeing 70-odd year old William Bell singing “You Don’t Miss Your Water”, knocking the song that started it all for him out of the park & sharing the stage with Booker T Jones, his songwriting partner who shared in the inception of so much fine music, just makes me smile.